He created these combines between 1954 and 1964. 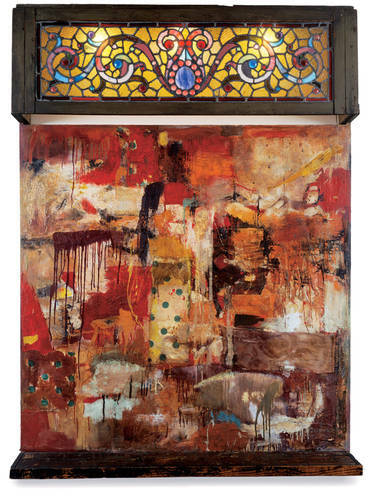 They were characterized as “hybrid works that associate painting with collage and assemblage of a wide range of objects taken from everyday life.” Combines also merge the fields of paintings and sculptures into one mixed media form. “It is neither Art for Art, nor Art against Art. I am for Art, but for Art that has nothing to do with Art. 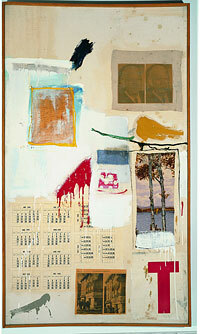 Art has everything to do with life, but it has nothing to do with Art,” – Rauschenberg. 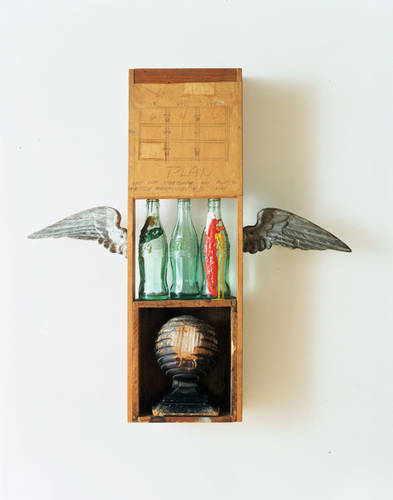 Rauschenbergpicked up trash and found objects on the streets of New York City and used them in his combine work. 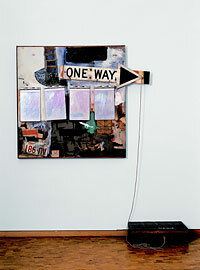 In his work, “Black Market,” the mixed media painting continues “onto the floor by a string attached to an open wooden suitcase containing various objects, and bearing the inscription “Open”,” (Centre Pompidou). It was also an interactive piece which prompted the viewer to take an object from the case and replace it with a personal objects. 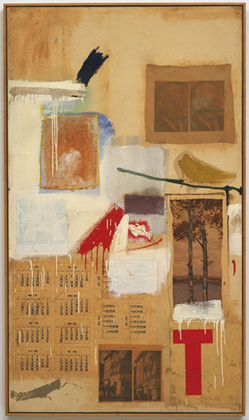 In “Factum I” and “Factum II,” Rauschenberg attempted to create two identical pictures. He did this to call attention to the spontaneity behind painting. The two paintings are obviously distinct from each other.